Hello, stemboat junkies! Raise your hands if you are one. 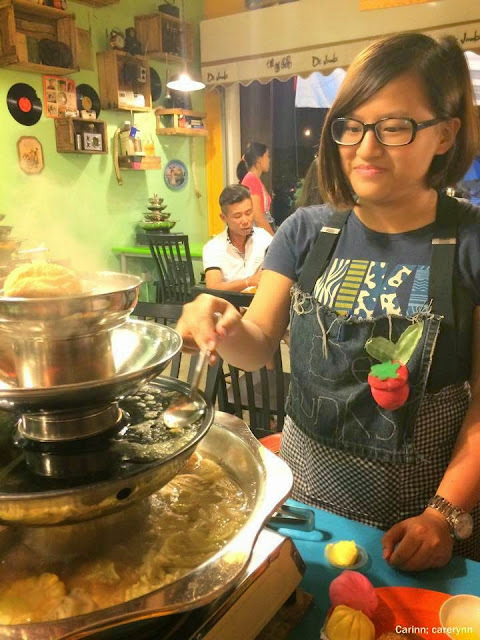 I'm sure there are many steamboat lovers out there and since most steamboats serve about the same thing, up & coming steamboat restaurants have to come up with innovative ways to present their steamboat meals more interestingly to keep it fresh & interesting. 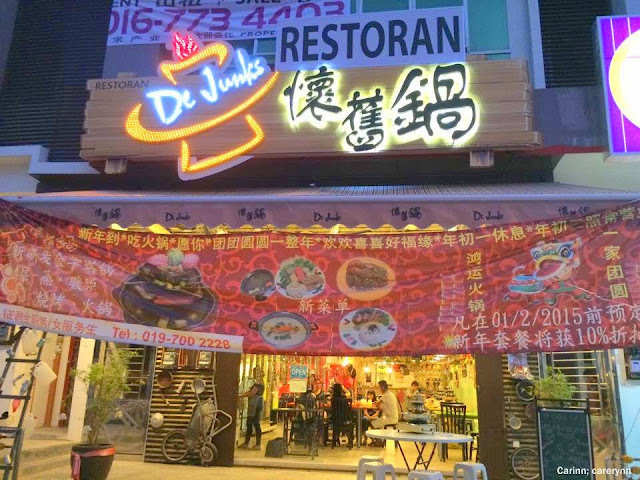 De Junks Steamboat Restaurant is a recently opened restaurant in 2014 at the newly extended area of Taman Mount Austin. This signboard looks quite eye-catching at night. Thank you Cavin and Kim for inviting us to review the place, I couldn't be more excited to enjoy a hearty steamboat meal on a rainy Friday night after a week of hard work! 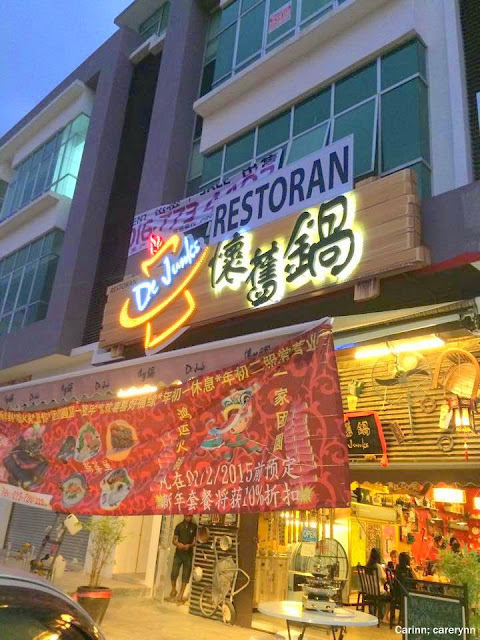 From the outside, it looks like any regular restaurant and it might be quite misleading because most steamboat restaurants are outdoors. 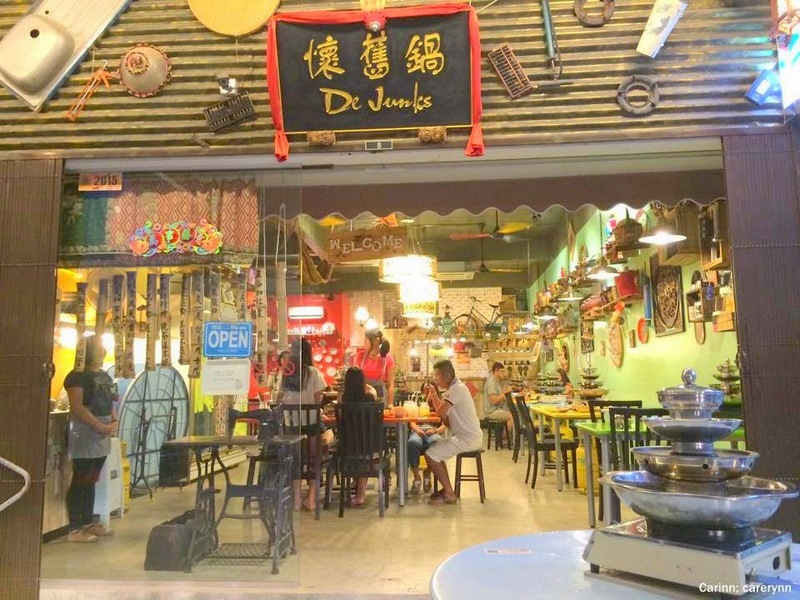 But De Junks is actually a retro-themed restaurant, decorated with antique knick-knacks to give you a dining experience with a kick. I was told that the name 怀旧锅 in Chinese means 'to reminisce'. 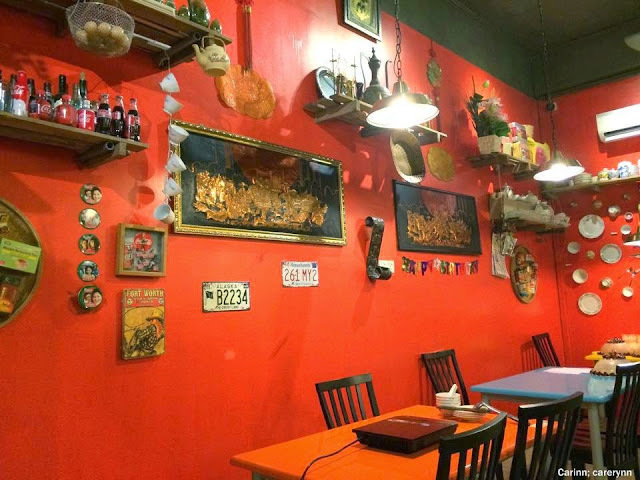 The food is said to have Thai, Japanese and Korean influence. The decoration inside is a little messy but if you look closely, it is actually interesting as the items they stick on the wall are actually vintage toys and what-nots from our childhood aka the 80's. 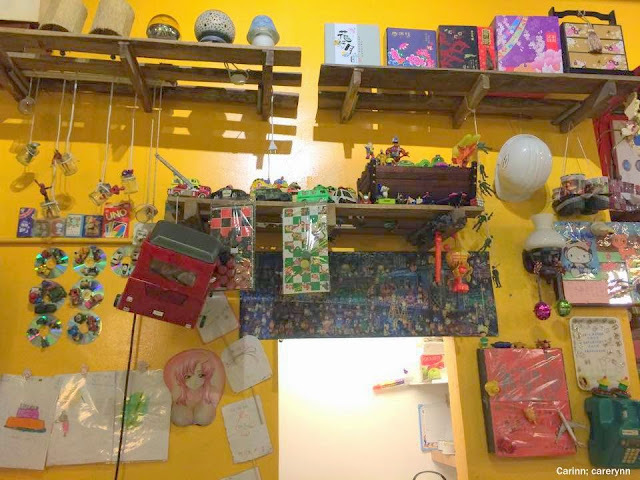 Take a steap back in time as porcelain cutlery, recycled materials and other items cover the colourful painted walls. Don't forget to take a moment to admire the decor as you wait for your food! The condiments area with a variety of sauces to choose from, all kept in antique porcelain pots. Let's start with the drinks first. 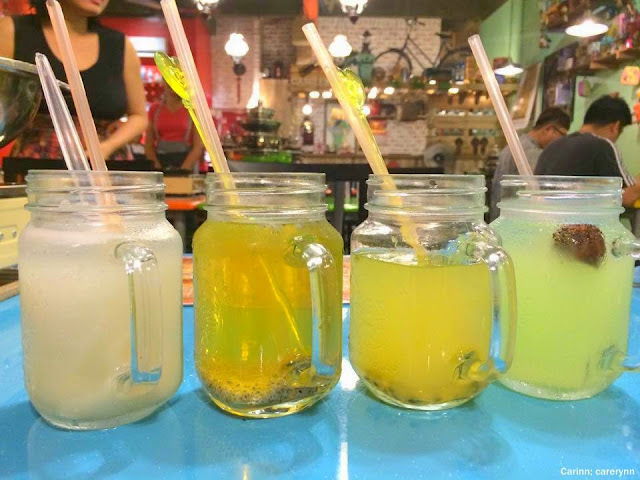 Light, refreshing drinks are the perfect accompaniment for hearty steamboat meals. 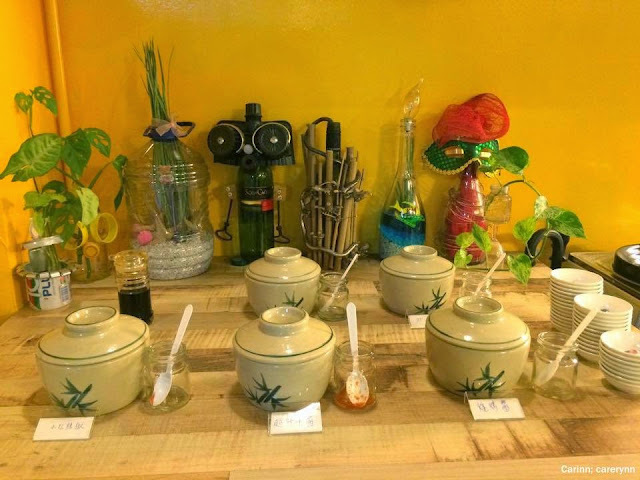 Here we have a few of their signature drinks - Soursop Drink, Passionfruit Drink, Chrysanthemum Tea with Basil Seed and Lime Juice with Sour Plum. 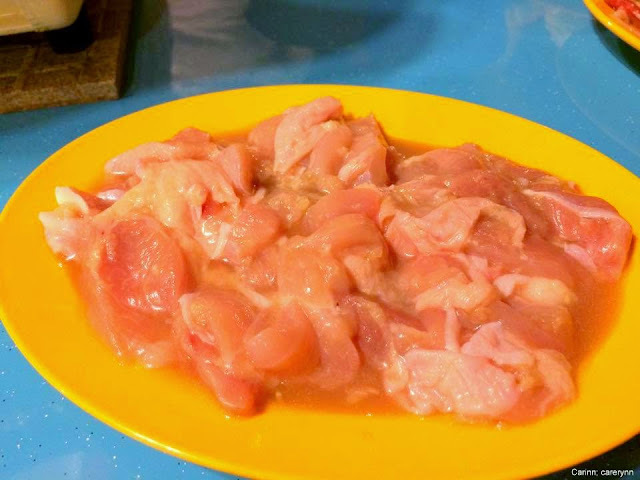 If you thought Dejunks only served steamboat, you're wrong as there are a wide variety of other dishes too! 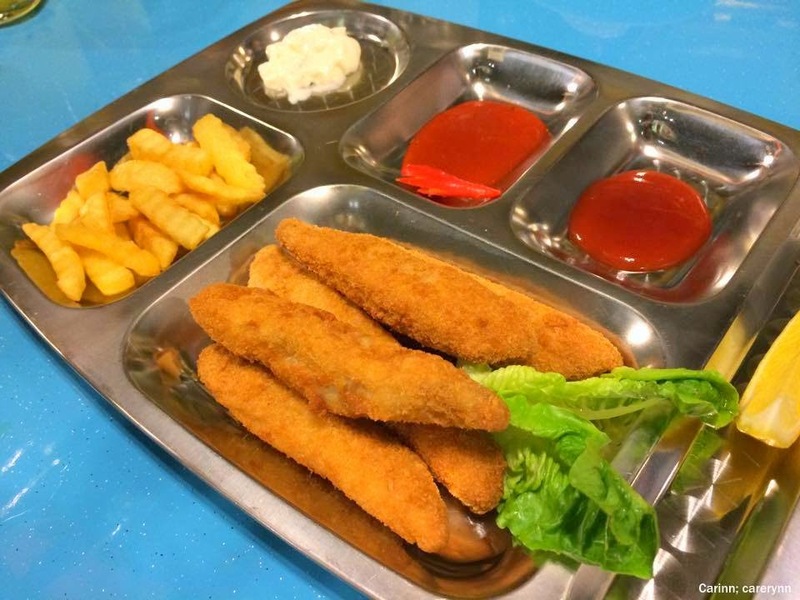 This looks like fast food but is served on a canteen plate to bring you back to primary school days. Eat it while its hot because the breaded salmon is crispy on the outside and the fish meat is juicy on the inside. Only thing is, it is not salty enough but tastes better with the condiments. The rice is really fragrant, but a little dry. The salted egg taste could be improved, but the serving is sufficient and they are generous with the ingredients. 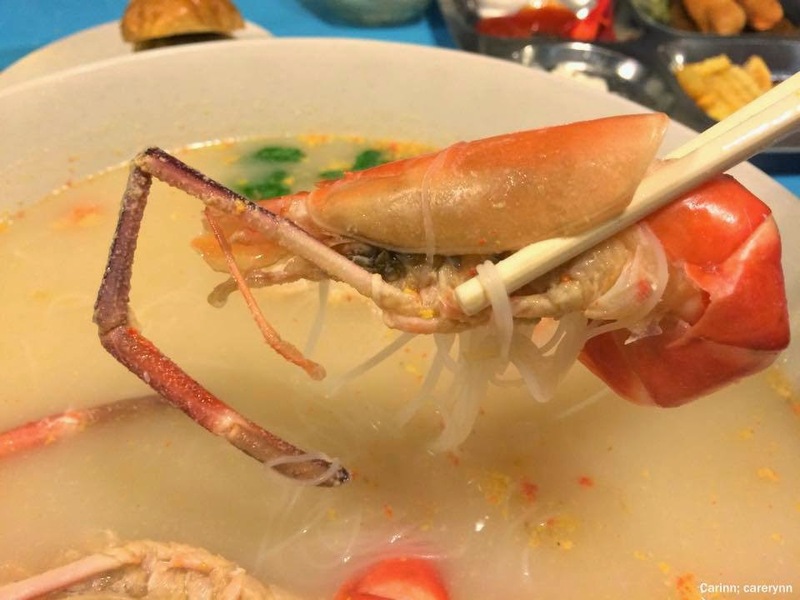 At first the price seems a tad expensive for noodle soup but LOOK AT HOW GIGANTIC THAT PRAWN IS! And there are more than 2 prawns in there, so this is really quite worth it! 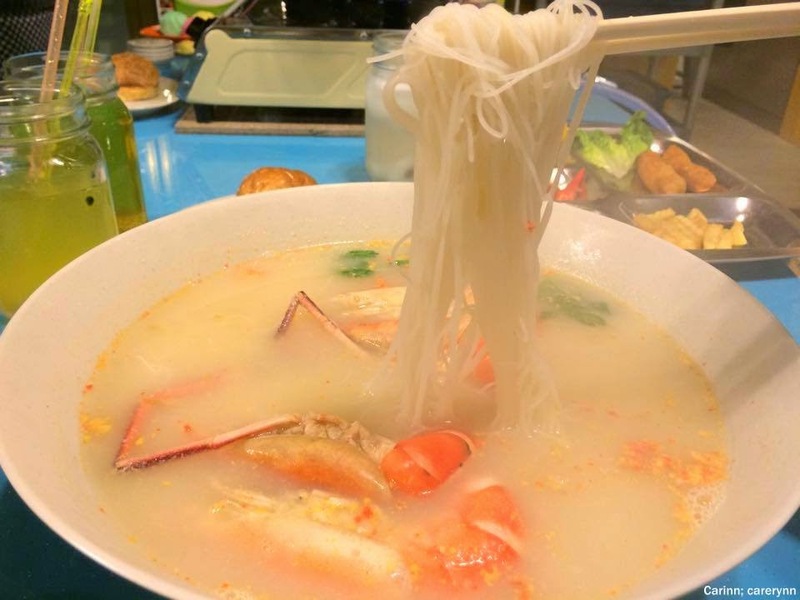 The broth is absolutely heavenly - fragrant with a hint of rice wine, savoury and tastes of fresh seafood. Got a little shock at how huge the bowl is, I would totally recommend sharing this. Hot, steaming soup is such a comfort for a rainy day. Love this! And now, the star of the show! I did mention that steamboat places has to up their game to give customers a more value-for-money and interesting experience now. Well, who has ever seen a FOUR-TIER STEAMBOAT?! Beat that. These multi-layer steel pots are specially imported from overseas and I'm pretty sure De Junks is the only steamboat restaurant in JB who has this now! After the appetizer and pre-meal, check out how much food we were served for 4 people for the actual steamboat! For us small girls (me, Kim, Jiaying, Jen and a little baby in Jen's tummy :p), the owner Cavin recommended 2 of these Classic Pyramid Set for us. There are two types of soup to choose from for the set and we chose the conventional chicken broth and appetizing Tomyam soup. There are many other choices of soup bases too such as butter cheese soup (would totally love to try this! ), spicy soup, miso soup and crab soup (sounds totally awesome too). For chicken broth and miso soup, it is free of charge as the price is already included in the sets. All other soups are priced at RM5 while crab soup is RM12. 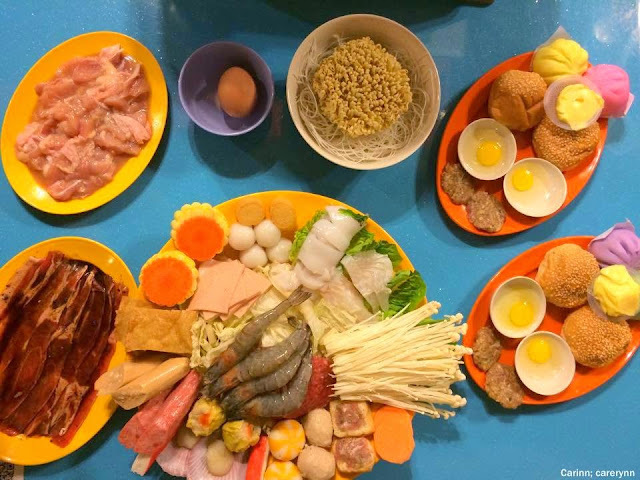 These are basically all the ingredients you find in one classic De Junks steamboat set. It is a reasonable amount and price for 2 person (only RM28 each!). 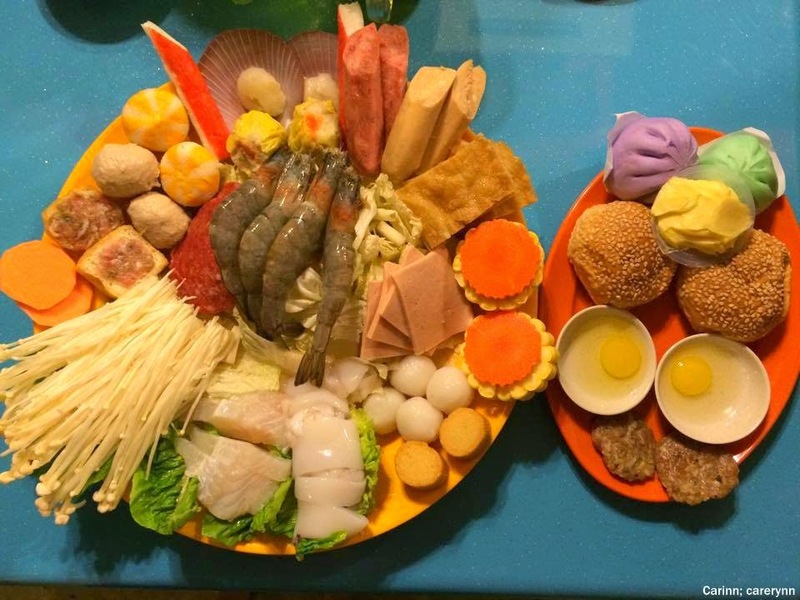 Aside from the fresh meat, seafood, fishballs & fishcakes and vege shown, the set also includes 4 mini colourful steamed buns with a variety of flavours, 2 mini burger ingredients, an egg and mihoon or yee mee. There are even snacks & fruits to dip in the chocolate fondue at the end, so you tell me this isn't one of the most value meals you've seen?? 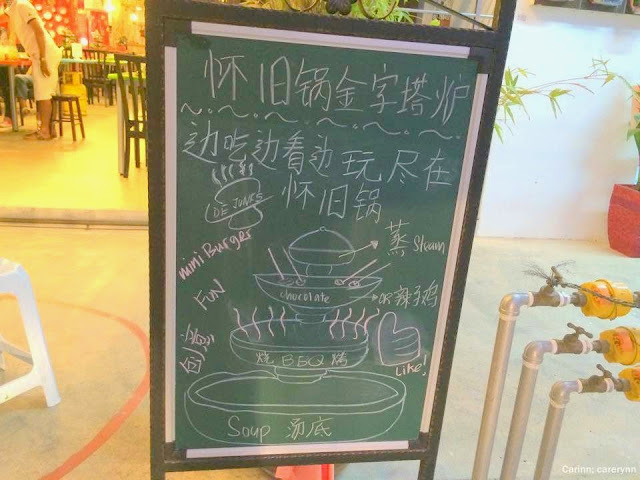 Even though it is stated that the set is for 2 pax, the restaurant does not restrict the customers if they were to order for 3 person so no worries if you are a small eater! 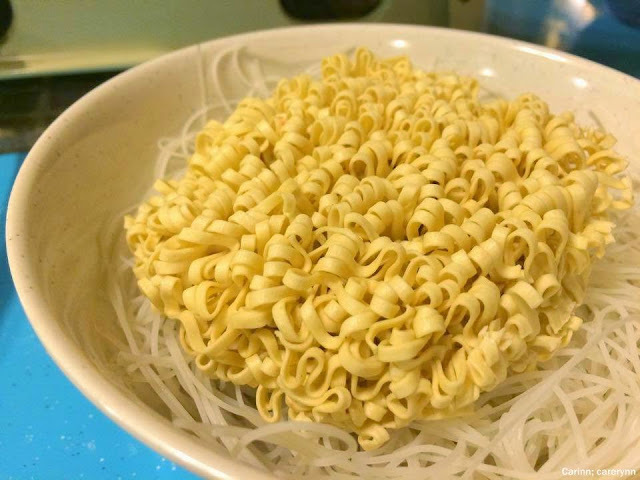 You can opt for other types of noodles for the Classic Pyramid Set, and instead of yee mee, we girls decided to get these carrot noodles. Totally recommend this as they are springy, tasty and healthy! Definitely not something you get to eat often. 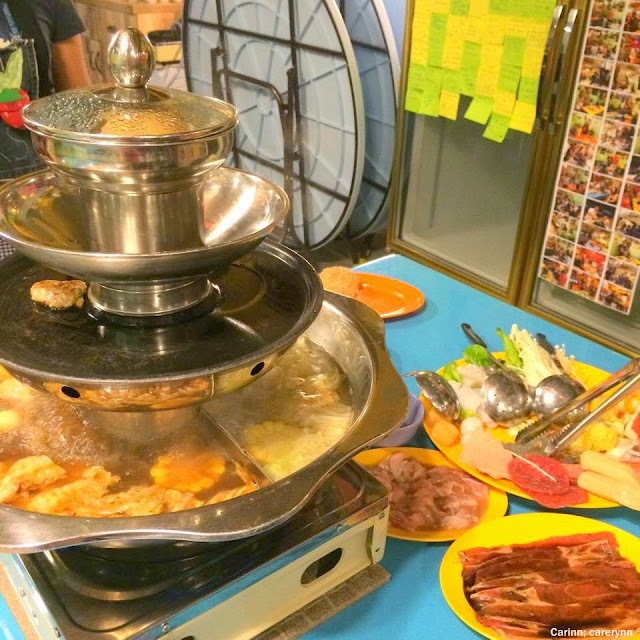 When you have steamboat outside, most people would definitely want a 2-in-1 option of having grill AND steamboat together. What I like about De Junks is also the service. The waitress was really patient in explaining everything to us and if the place isn't too busy, you can request for them to prepare the mini burgers for you! 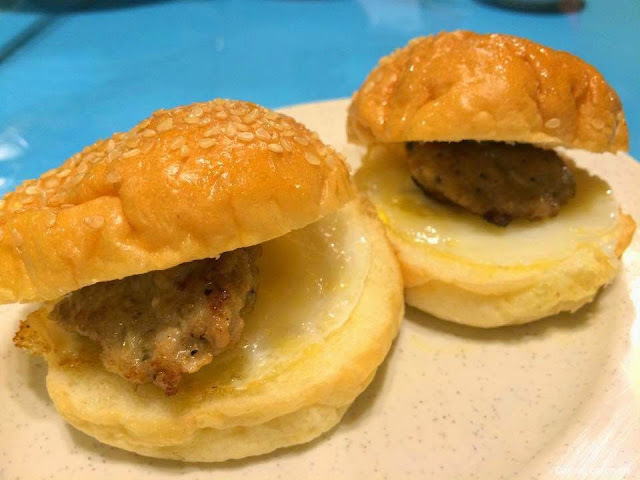 Basically, you grill the mini pork patties, quail egg and butter the sesame seed buns before assembling it. You'll definitely feel like a chef while preparing your own 'gourmet' burgers. Yum! This was honestly one of my fave dishes! 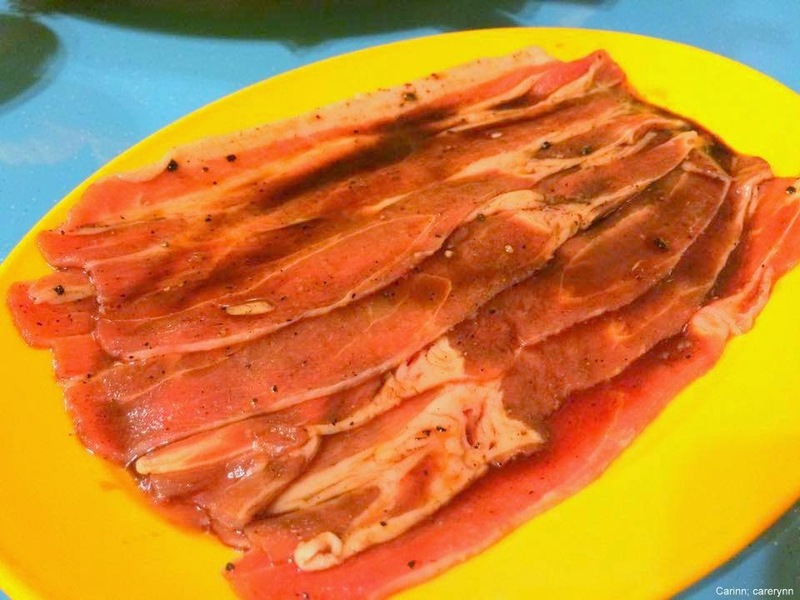 Of course, the doneness of the meat depends on how you cook it but I liked it for the peppery & char-grilled taste, there is really a kick to it and I can't stop eating! The fact that they used pork loin (like bacon!) and are thinly sliced strips, makes these even more addictive! This dish is also not included in the Classic Pyramid Set but the boss wanted to let us try this. 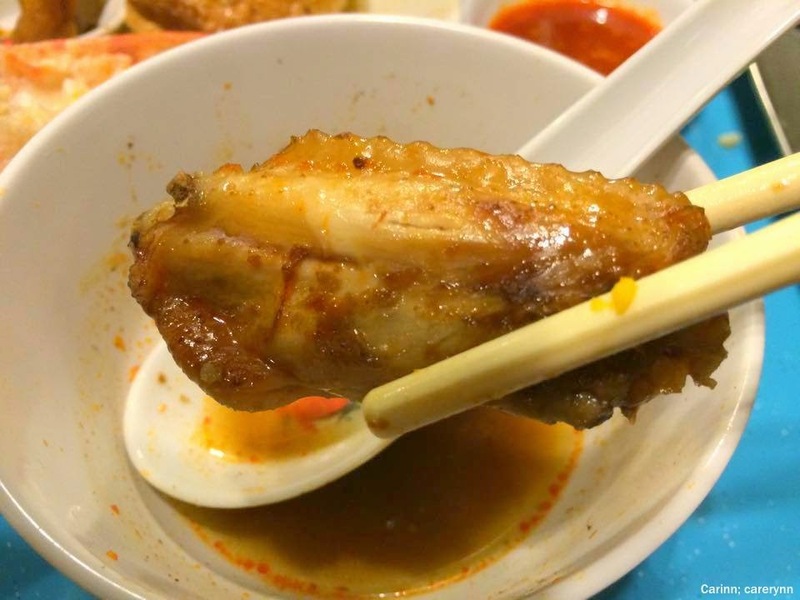 Eat these spicy chicken wings while its hot to truly experience the super spiciness of the chicken and the tender meat inside. For me though, the wings might not be marinated long enough as I couldn't really taste the spiciness aside from on the skin. So this was how our 4-tier steamboat looks like in full force. There are too many food to list out but I've already told you about the main ones. How the four-level steamboat works is that heat will slowly travel upwards and steam will be at the top, which makes it perfect to steam those sweet buns (don't forget to put in a bowl to avoid it soaking up at the bottom of the bun) and slowly simmer the spicy chicken wings on the third layer. 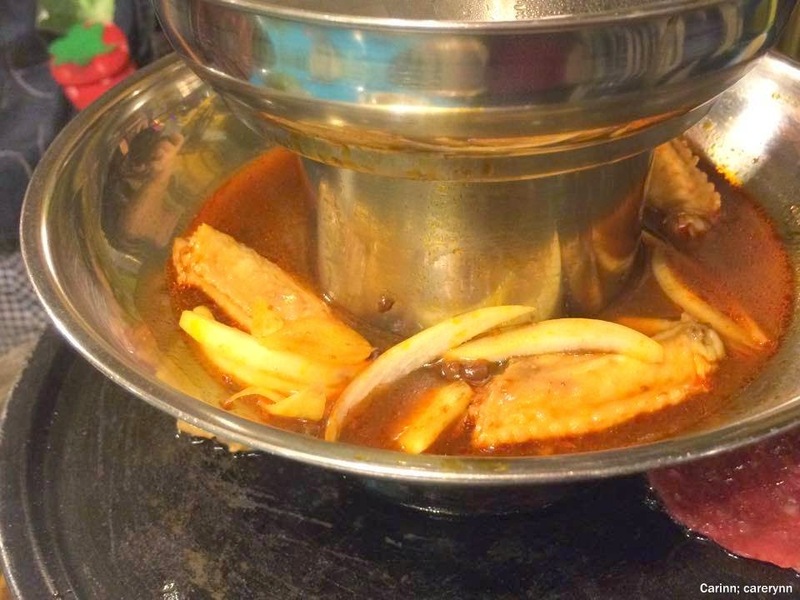 The 2nd layer is used for barbeque and grill while the conventional steamboat soup is at the bottom. Last but not least, how can you end a meal without... Dessert! 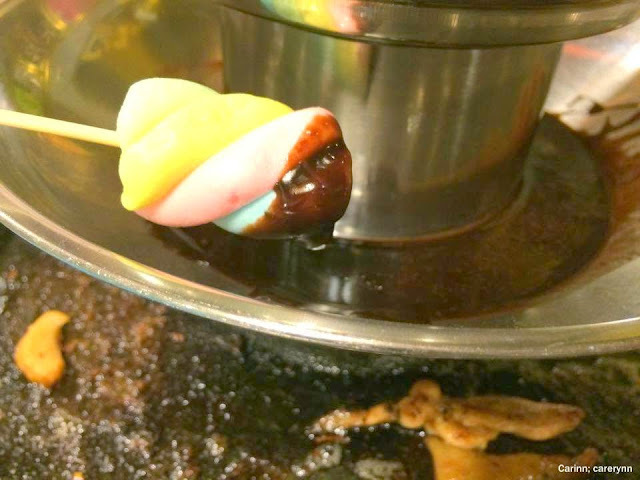 After enjoying all that savoury food, it is time to make space for some chocolate fondue! The third layer is removed and replaced with a clean pot to place the lovely melted chocolate. 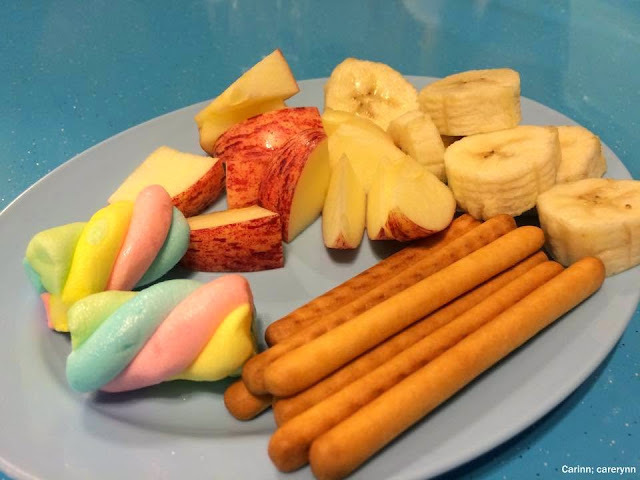 Snacks provided are just some crackers, bananas, apples and my favourite marhsmallow to dip into oozing lovely chocolate sauce! I felt that presentation wise, the dessert could be improved but hey, still totally worth it for the price! 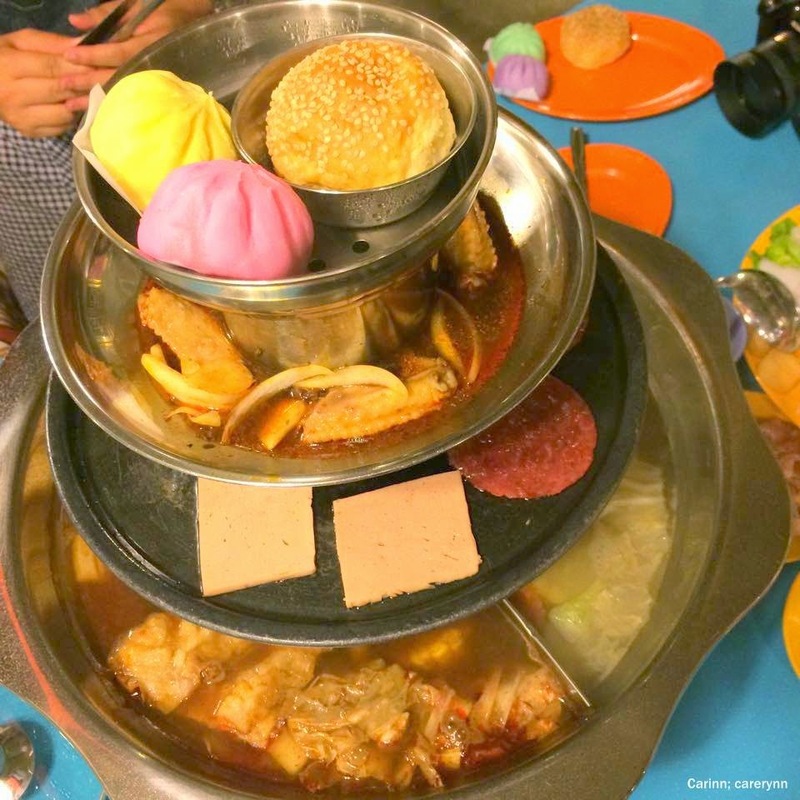 I don't know about you, but I find this 4-tier steamboat idea a very innovative way of enjoying steamboat. 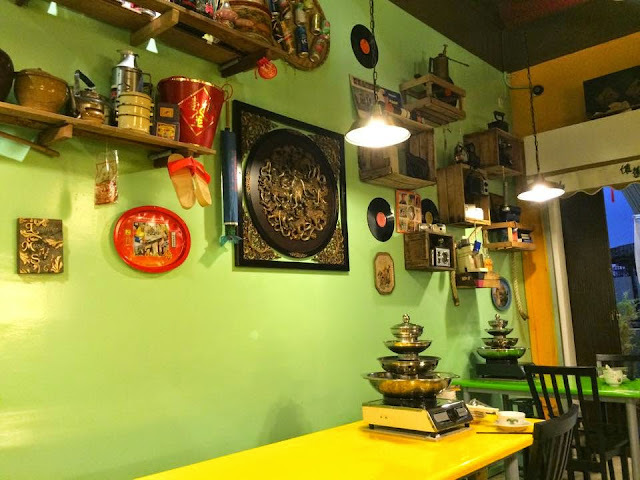 It's a great place for gathering with friends and you can enjoy BBQ, steamboat and even make your own burgers and dessert at the same time. It is space-saving as well as the steamboat pot is practically all-in-one. For me, the Classic Pyramid Set itself is good enough for 2 person, add-ons are not necessary unless you want to try new stuff. 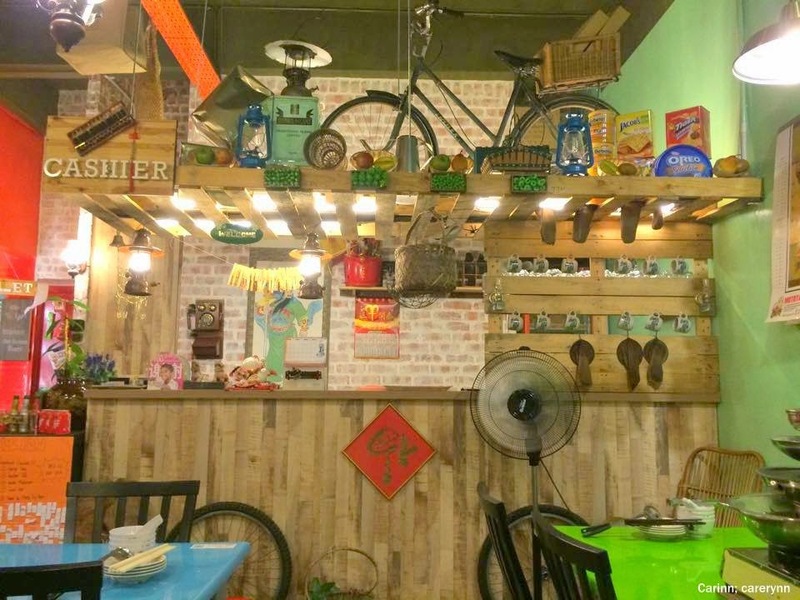 While reminiscing the good old days amidst the retro decor, you can also enjoy a well-balanced, full course meal. Disclaimer: Even though the review is sponsored, it has not affected my opinion in any way. 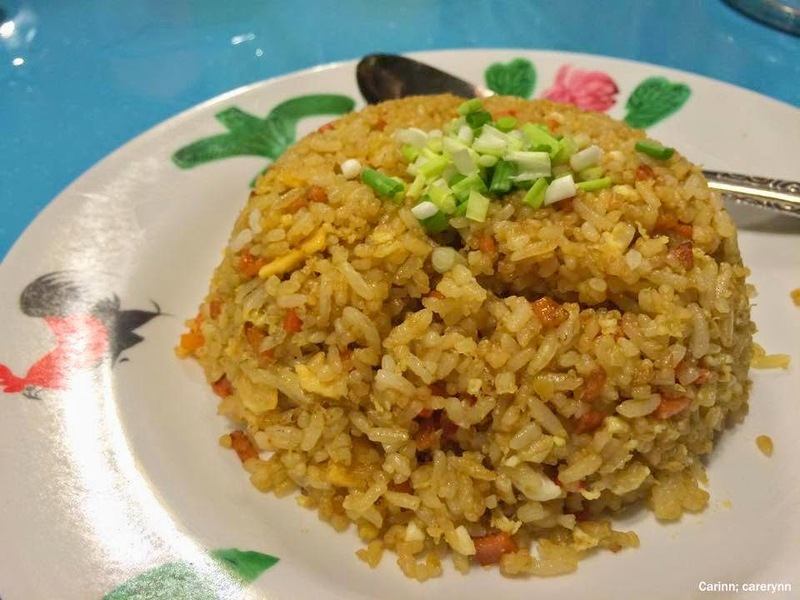 The review is based on my honest personal taste and preference after trying out the food and services. Mini Burgers are so cute!